One of the best ways to get deep into the soul of a place is to mix and mingle with the people who live there. There’s no more enjoyable way to get to know people than at a party, and the people of Kaua‘i are great about sharing their culture through a SLEW OF FESTIVALS that seem to keep the fun going year-round. KING’S CELEBRATION AND PARADE: On June 10, head to Historic County Building in Lihue to celebrate the Hawaiian culture of Kauai and honor the famous chiefs including Kamehameha, Kaumuali‘i and Manokalanipo. There will be a parade, local foods, craft booths and live music. Events start at 9 a.m. and end at 2 p.m. Call (808) 635-7205 for more info. KOLOA PLANTATION DAYS: This 10-day celebration honors the legacy of Koloa, July 21-30. Find community service products, sports competitions, entertainment, cultural activities, food galore and even the 18th-annual Plantation Days Rodeo! Visit koloaplantationdays.com for more info. HANALEI BAY SWIM CHALLENGE: The 11th annual Hanalei Bay Swim Challenge takes place at Hanalei Bay Pier on July 29 from 7 to 11 a.m. Named one of America’s top 100 Swims by the World Open Water Swimming Association, this event offers five races for different ages and abilities. Visit hanaleibayswimchallenge.com for more info. 16TH ANNUAL HEIVA I KAUAI IORANA TAHITI: Head to Kapa‘a Beach Park on Aug. 5-6 for a cultural festival celebrating the international Tahitian dance competition. This grass roots festival features dancing, music, shopping and Tahitian dance performances. Gates open at 9 a.m. and events start at 10 a.m. Admission is $7 for adults and free for keiki 12 and under. Visit heivaikauai.com. HAWAI‘I SAND FESTIVAL & SAND CASTLE CONTEST: Take a look at playful, intricate sand castles at Hanalei Pier on Aug. 12 from 11 a.m. to 4 p.m. You can even build your own sand sculpture with friends and family and get entered to win an awesome prize. 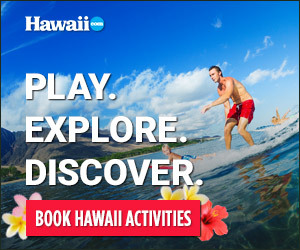 Visit hawaiisandcastle.com for more info. *All event dates and times are subject to change.